Searching for unique gift ideas for women in their 40s can be a bit of a challenge, but if you have a good idea of their personal interests, you can cover your bases and leave the specifics to the pros. 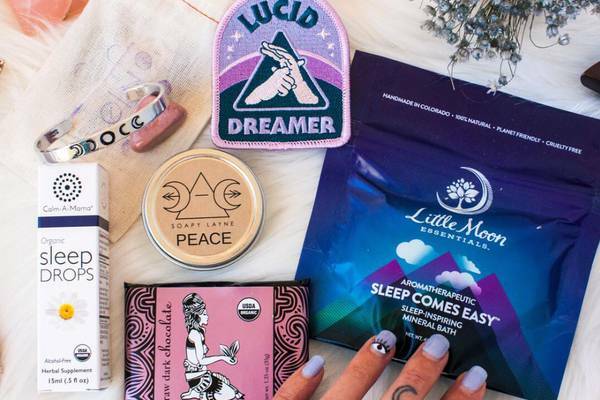 With gift ideas that appeal to bakers, travelers, tea lovers and happiness seekers, these mindfully curated monthly subscription boxes can help you deliver thoughtful gifts for adult women. What You’ll Get: One of the best gifts for women in their 40s is the gift of pure joy with the TheraBox Self Care subscription box. Each month delivers 5-7 self-care products ranging from natural, organic bath and body care to aromatherapy. Curated by therapists to create feelings of happiness, this box is sure to put a smile on her face. 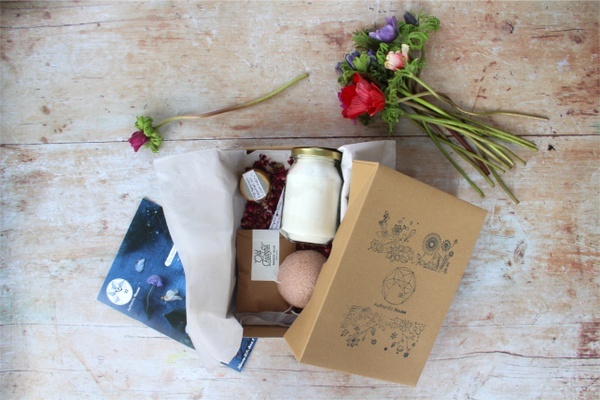 What You’ll Get: Custom crafted to fine tune her green thumb, My Garden Box delivers the gift of gardening each month. Featuring a living plant or seasonal bulb, enriched potting soil and a decorative planter, it’s the gift that keeps on growing. Shipping: Ships mid-month only within the U.S.
What You’ll Get: If one thing is certain, it’s that moms are busy! Give the moms in your life the gift of a little relaxation with the Mom Time Delivered box. 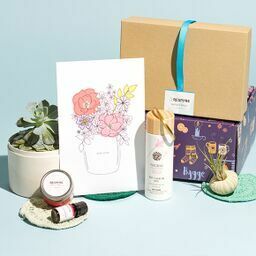 Including 5-6 products from artisanally crafted bath accessories, delicious treats and teas and coffees, this box is sure to help mom slow down and unwind. What You’ll Get: For when the day feels just a little too long and you need that pick-me-up to keep on keeping on, turn to the SnackSack subscription. With vegan and gluten-free options available, this box offers 12 mindfully curated snacks that guarantee you have a healthy option at hand to munch on when you need it. What You’ll Get: Of all the subscription box gifts for women in their 40s out there, the SpiceBreeze box brings that little bit of wanderlust right into her kitchen. Experience the flavors of the world by getting freshly ground, pre-portioned spices to create 2 or 4 authentic entree recipes at home each month. What You’ll Get: Energize body and mind with the Coffee and a Classic starter box that delivers 1 classic good read, a stimulating cuppa and 2 bookish items. If you want to take it to the next level, you can upgrade to the standard box that lets you choose your book genre and beverage preference, and includes a bookmark, special coffee mug and 1-2 extra items. What You’ll Get: Spend quality craft time with your kids with the We Craft Box. Each month you’ll receive 2-3 prepared crafts that are ready to roll. With the prep-work done for you, you’ll be able to open the box and get straight to crafting and making stress-free, fun memories with your kids month after month. What You’ll Get: He Wines, She Dines subscription box delivers flavorful wines curated especially for her taste preferences and budget. From tableware to gourmet treats, each box includes a complementary item that will help create a fun date night with your special someone. What You’ll Get: The Explore Local Box is like taking a cross-country road trip staycation - if that was a thing! Highlighting a different U.S. city each month, this box delivers high-quality products and artisanal treats local to the featured region. It’s a perfect way to indulge your travel bug each month without having to hit the road. What You’ll Get: Give the gift of the finishing touch with the mintMONGOOSE subscription box. Featuring high-quality jewelry pieces at an affordable price point, each standard box will include 3 simple jewelry pieces curated to work with everyday style, in your choice of gold, silver or both. With the black box upgrade, you’ll get 4 jewelry pieces and 2 stylish accessories like scarves or nail polish. What You’ll Get: Enjoy the warmth and relaxation of every sip with the Simple Loose Leaf Tea subscription box. Available in regular or decaf, each box contains 40g of high-quality loose leaf tea including a black and green tea, an herbal tea and a seasonal treat. It’s a gift that’s sure to be good to the last drop. What You’ll Get: Sending inspiration and encouragement each month, the CoachCrate delivers a life coach at your fingertips guiding you every step of the way! 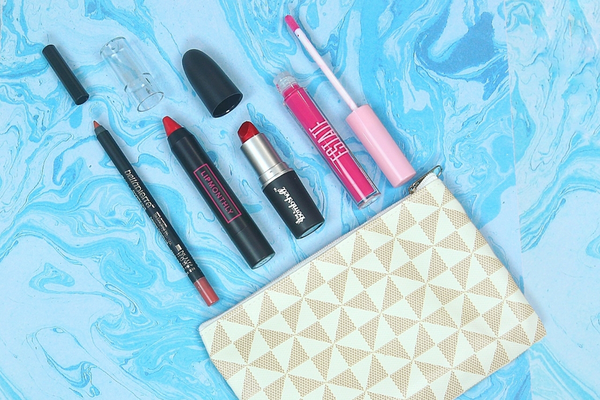 This monthly subscription box is a one-stop-shop to your best self. Each box includes a book with reading guide, exclusive online coaching sessions, and 3-6 productivity, relaxation, growth and wellness items. What You’ll Get: The Believer's Box is a thoughtfully curated subscription box to inspire and strengthen women's faith. Each month's box includes 5-7 items like jewelry, beauty and wellness products, scripture cards, and other handmade gifts. Plus, for every box sold The Believer's Box donates 5 meals to the Food for the Poor organization. What You’ll Get: If you're shopping for someone who love a little something sweet with their morning cup of coffee then Match Made Coffee is the perfect gift idea! Each gift box includes 2 freshly roasted craft coffees plus 2 gourmet cookies chosen to pair perfectly with the included coffee. They also include an information card with a pairing guide in each box. For more great gift ideas for women in their 40s, check out our full collection of subscription boxes for women!